As you may know, I offer professional development webinars through PracticalEdTech.com. But that's not the only thing that I do with that site. I also use it to publish my tip of the week newsletter. That is a once-per-week mailing that contains my favorite tip of the week, usually with a video, and a list of the most popular posts of the week from Free Technology for Teachers. As of this morning 16,257 people subscribe to that newsletter. 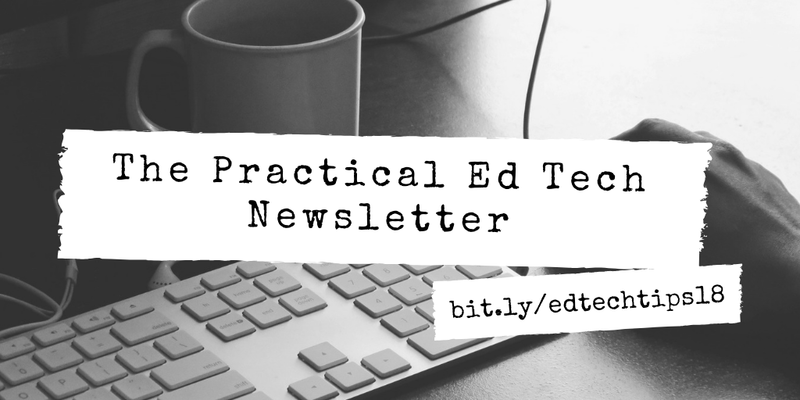 You can register for the Practical Ed Tech newsletter here. Or sign up for the Practical Ed Tech newsletter through the form embedded below. How to Enable or Disable Gmail "Smart Replies"